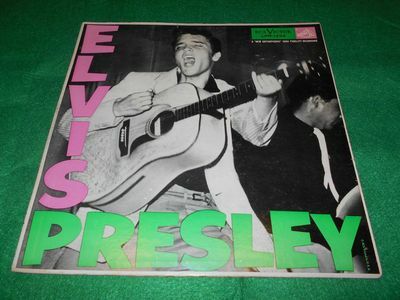 You are looking at a RARE 1st album, self titled Elvis Presley. The vinyl sounded much better than it looks. Please look at all the photos as they clearly show what you will be bidding on. Please ask questions if you need clarification on this item. Be sure to check our other auctions as we will be listing many other record album collections. Thank you for looking! SHIPPING: is based on the buyer's location with a choice of USPS Media mail or USPS Priority mail. International locations will pay actual cost based on their location. YES, we do combine shipping, you just need to request/wait for the adjusted invoice. NOTE: we made an error in offering the shipping choices. Buyers will have a choice of of Media mail in addition to the Priority Mail service. Sorry!